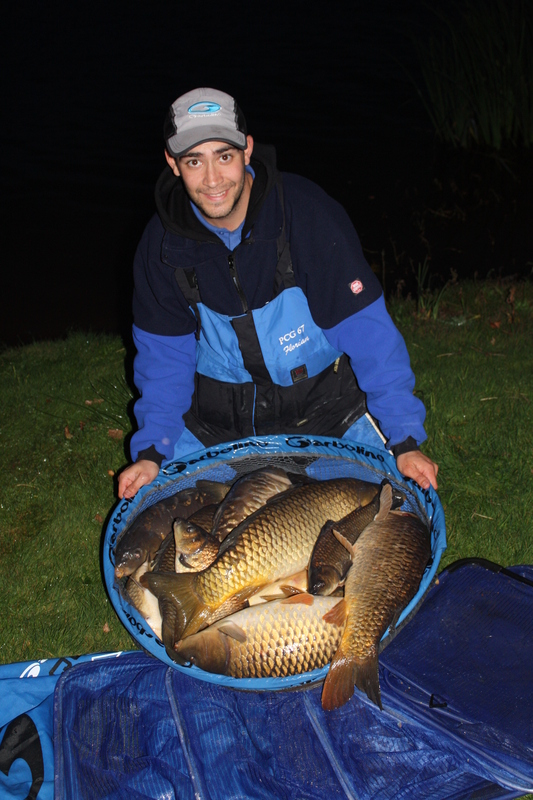 Darren Cox, match fishing ace from Garbolino, reveals all in this Angler's Mail blog about how to find fish in winter months and catch big carp. Make sure to click the icons above to share these great tips with your friends on Facebook and Twitter. WATER temperatures have dropped dramatically over the Christmas period with many fisheries experiencing ice, especially those which are sheltered or on smaller pools which experience greater water temperature fluctuations at this time of year. On bigger waters the carp will often back off and move into the middle of the lake, often the widest away from the bank. They will lift up and down in the water according to the temperature and light conditions as they try and find the most comfortable thermoclines in the water. These are columns of water which have a slightly different temperature and maybe oxygen levels where they feel more comfortable. Carp anglers like bright popped up boilies in winter – if you’re match or pleasure fishing you can do the same. Or try popped up bread. It’s venues like this where the ‘bomb’ is so effective and high viz baits come into their own. Popped up bread (a tactic the current issue of Angler’s Mail explains clearly) is a deadly method for carp as it is very buoyant, lovely and soft in texture and highly visible in the clearer water. Use two or three 8-12mm pieces on a long hair to create a nice big soft target. Pop-up boilies are also very good for this and they stay on the hook better than bread. 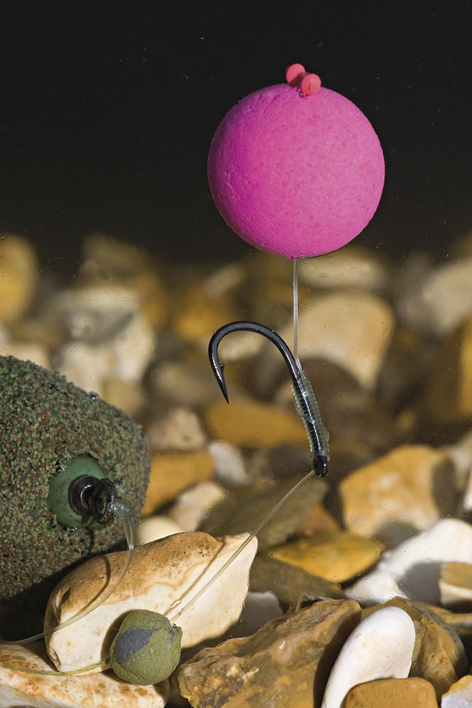 Pop the hook bait up anywhere between 1 in and 3 ft off the bottom. I use small No.8 shot to critically balance the rig. You can move these shot up and down the line to alter the depth the bait is popped up. Try bottom baits too. Single or double hair-rigged corn is another great winter bait, again its highly visible and very effective for carp and bream. Sinking red or white boilies are also excellent. Try to feather the bomb into the water on the cast as I’m sure the bomb spooks the fish if it goes in too noisily. It will also protect your delicate bread hook bait. You need to search around your swim to try and find the fish. This is not the right time of year for line clips. Keep an eye on where your last cast landed as it may be the cast that finds some fish and you will need to try and cast to that same spot again. Cast around every 5-10 minutes until you find a bite. The fact that you’re not feeding anything means that you can afford to cast all over your swim to find them. 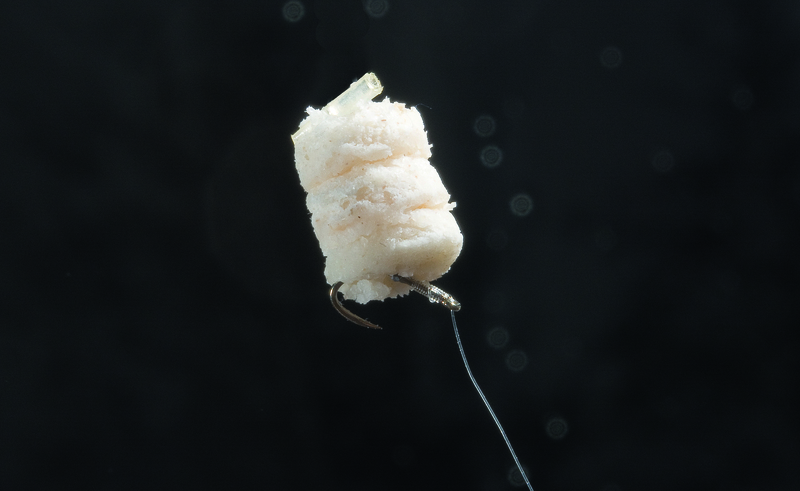 A close up look at a popped up bread hookbait, like Darren Cox describes in this Angler’s Mail tips blog. Look out for liners as these may help you find a few fish. If you are getting liners then the fish are usually closer to you than your hook bait so gradually work your way back by casting shorter every time until you get a true bite. Using a front and back rest will help you see every movement on the tip rather than resting it on your lap. Also remember that when you are fishing for decent carp you don’t need many bites to win a match at this time of year. Normally 65-80 lb, like you see pictuyred below, is a very good weight. If the carp average 5lb that may only be three bites an hour average. But that doesn’t mean you don’t have to work hard to get them…! Get it right and a run of lumpy carp can be yours. In a match, this could be a match-winning catch. Darren and the Garbolino UK crew.